Congratulations to second grade teacher, Ms. Jessica Trice, David Youree Elementary's 2018-2019 Teacher of the Year! Click on this link to see all grade level supply lists for the 2018-2019 school year. The house of Sabio is coordinating a service project to help the community this winter season! We will be collecting items to donate to The Journey Home, whose mission is to help the homeless and disadvantaged community right here in Rutherford County. 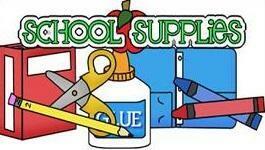 Each grade level will be collecting 1 item from December 6th thru December 19th. Click the link for all of the details. DYE students will begin testing their coding skills from Nov. 30 through December 7 during their technology related arts rotation. Code.org hosts an Hour of Code each year. This year it is the week of Dec. 3-9. For further information about Hour of Code visit their website, https://hourofcode.com/us. 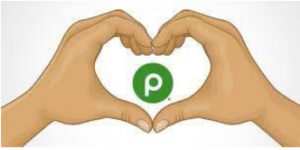 Join us on Thursday, December 6, from 4:00-6:30 PM at Publix, 1640 Lee Victory Pkwy, Smyna, TN for our Family Fun Math Night. Students in Grades 2-5 are encouraged to join us for a fun time solving math problems while shopping at Publix. David Youree Elementary will be closed for Thanksgiving Break on Wednesday, Nov. 21, through Friday, Nov. 23. School will reopen on Monday, Nov. 26. Show your DYE school spirit and purchase this year’s new Spirit Shirt design. It is a ¾ length sleeve, raglan style baseball shirt. 100% pre-shrunk jersey knit. All shirts are white with royal blue sleeves showing the same logos. These shirts come in both youth and adult sizes so the entire family can promote our school in the community. Fill out the form below and send your order to the PTO by Friday, November 16. Shirts will be delivered before Christmas break! Your child can have their picture taken with Santa on Thursday, Nov. 15. Details coming soon. Parents, you are encouraged to attend the rezoning meeting at Siegel High School on Nov. 8th at 6:30 PM. Students and teachers are encouraged to dress up as a book character on Wednesday, Oct. 31. You will need to have your book with you as you walk in the Parade around the track. There should not be any scary or inappropriate costumes or mask or face paint. Here is the schedule for the parade on the track.